September saw NearInteraction as the TEDxEdges Chromium Sponsor proudly contributing to the conference that took place in Lisbon. Throughout the duration of the event, TEDxEdges featured an innovative multi-touch application developed by NearInteraction, in collaboration with Pacifica and The Others, which allowed the participants real-time navigation of all the comments shared through the Twitter platform. 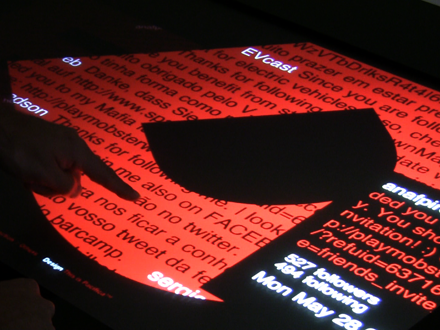 The multi-touch table, presented by NearInteraction at TEDxEdges, is an unique hardware that allows multi-user interaction through touch, combined with graphics and visual information displayed directly on the surface.